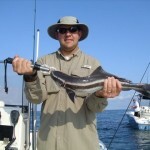 Fished the reef this morning and saw spades, landed a small cobia and lots of small bsb. 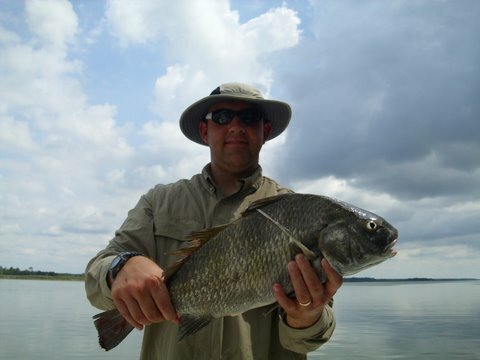 Came back inshore and caught some nice black drum and sheepshead around the dock pilings. This entry was posted in Uncategorized on May 23, 2010 by . 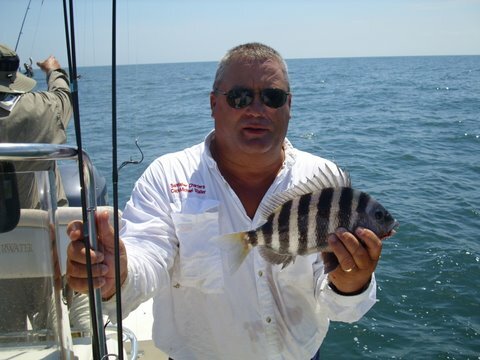 Planning on fishing one of the reefs off Kiawah Island in the afternoon. This entry was posted in Uncategorized on May 20, 2010 by . 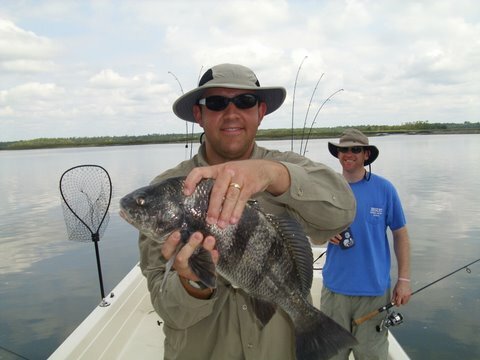 We fished the reef Saturday morning and caught a lot of small BSB, Sheepshead, Black Drum and other bottom fish. 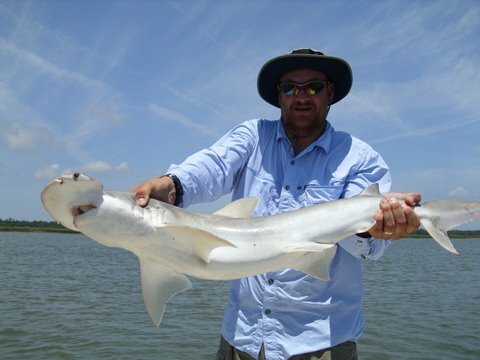 We fished the river in the afternoon for sharks and caught them consistently on blue crab. This entry was posted in Uncategorized on May 15, 2010 by . 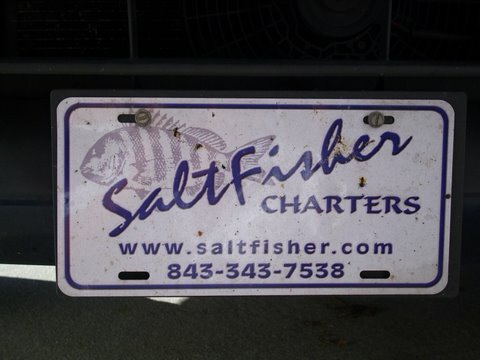 Fished the reef again this am….no weakfish, several mystery bites on fiddlers, could’ve been sheeps…did land one nice triggerfish on a fiddler and plenty of small bsb. No spanish or blues. Came inshore and shark fished the last hour and had 7 runs and boated 5. 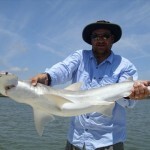 Had a shark trip this am.- first one of the year. In 2 hours we hooked 15 and lost one due to cut off. I also landed one big cow nosed ray. 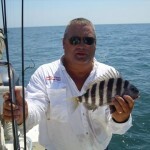 Fished the reef again today and did well but not as good as last time out. We did catch 1 good sheep but no blues or spanish to be seen. Plenty of 11″ BSb and several nice weaks. 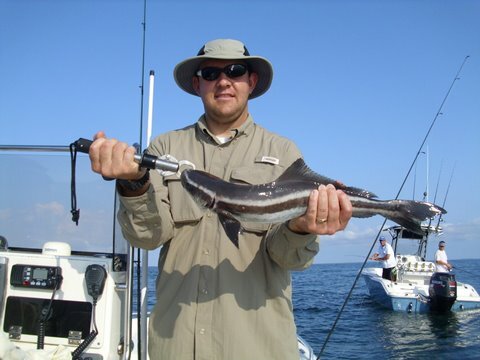 Lots of rays cruising, we casted gotcha plugs as they swam by and actually snagged one. 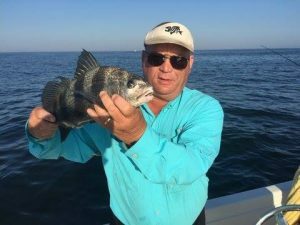 Fished inshore in the afternoon. 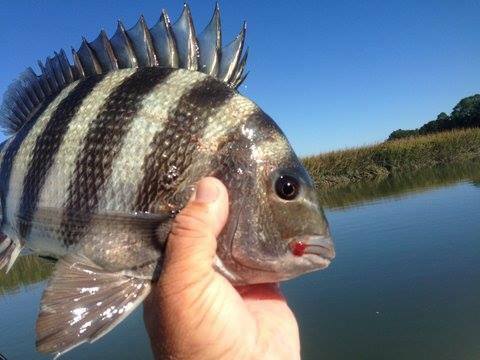 Reds on shrimp, sharks on crab and menhadden, sheep on fiddlers. 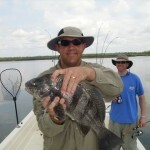 Reef fished and it was good….. 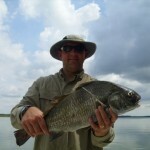 I don’t know how many weakfish we caught – some bsb, blues, spanish and some sheeps. This entry was posted in Uncategorized on May 14, 2010 by Domino.